The chief executive’s comments, secretly recorded by Channel 4 News, “do not represent the values or operations of the firm,” it said. In the footage, Mr Nix appeared to suggest tactics his company could use to discredit politicians online. However, Cambridge Analytica said the report had “grossly misrepresented” the conversations caught on camera. The London-based firm, along with the social network, is under scrutiny following claims by a whistleblower, Christopher Wylie, who worked with Cambridge Analytica. A statement from Facebook said the entire company was “outraged we were deceived”. “We are committed to vigorously enforcing our policies to protect people’s information and will take whatever steps are required to see that this happens,” it added. Further filming by Channel 4 News, broadcast on Tuesday, showed Mr Nix claiming his firm had run Mr Trump’s digital campaign. He said that the work the company did, including research, analytics and targeted campaigning, allowed the Republican candidate to win with a narrow margin of “40,000 votes” in three states. 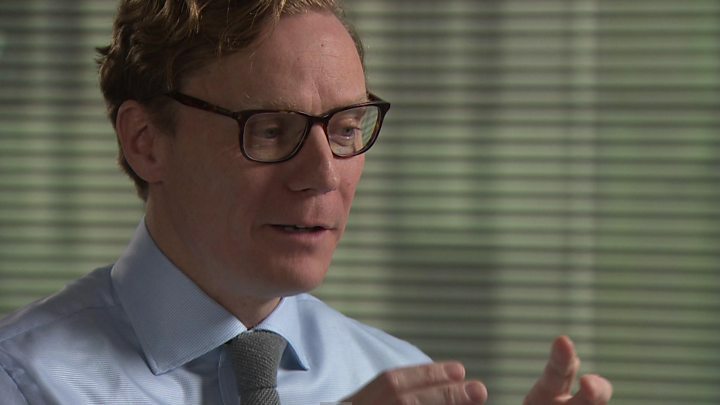 The managing director of Cambridge Analytica’s political division, Mark Turnbull, was also shown telling undercover reporters that the company could create proxy organisations to spread negative material about opposition candidates online without being traced. “We just put information into the bloodstream to the internet and then watch it grow, give it a little push every now and again over time to watch it take shape,” he said. 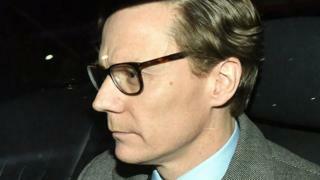 A statement from Cambridge Analytica’s board of directors said Mr Nix had been suspended with “immediate effect, pending a full, independent investigation”. The firm’s chief data officer, Dr Alexander Tayler – who was also filmed discussing campaign strategy for Mr Trump – will serve as acting CEO. The undercover report shown on Monday saw Mr Nix describing how he could target individuals. He said one way was to “offer them a deal that’s too good to be true and make sure that video’s recorded”. On Monday, Cambridge Analytica said the executives had “entertained a series of ludicrous hypothetical scenarios” in order to “play along with this line of conversation, and partly to spare our ‘client’ from embarrassment”. And Mr Nix told the BBC’s Newsnight programme he felt the firm had been “deliberately entrapped”. Earlier, a parliamentary committee called for Facebook CEO Mark Zuckerberg to give evidence about the use of personal data by Cambridge Analytica. Damian Collins, the chairman of the Commons inquiry into fake news, accused Facebook of “misleading” the committee and said it was “now time to hear from a senior Facebook executive with the sufficient authority to give an accurate account of this catastrophic failure of process”. Facebook shares fell by a further 5% on Tuesday, following a 6.7% drop on Monday, meaning that in total, about $50bn has been wiped from its market value. The company held an open meeting with its employees on Tuesday to discuss the matter, but the BBC’s North America technology reporter Dave Lee said neither Mr Zuckerberg nor his deputy, Sheryl Sandberg, chaired it. The UK’s Information Commissioner Elizabeth Denham said she would be applying to court for a warrant to search the offices of Cambridge Analytica. The consumer watchdog the US Federal Trade Commission – which has the power to levy large fines – has also reportedly opened an investigation into Facebook. Dr Aleksandr Kogan, who created the personality app from which the data had been harvested, is a senior research associate at the University of Cambridge. A spokesman from the university said they had “sought and received assurances” from Dr Kogan that no University data, resources or facilities were used for his work and they had found no evidence to contradict that, but were writing to Facebook to “request all relevant evidence in their possession”.